It's always fun to look at how a superhero's costume has evolved over the years. Characters change based on the writer's conception or an artist's ideas, sometimes radically. 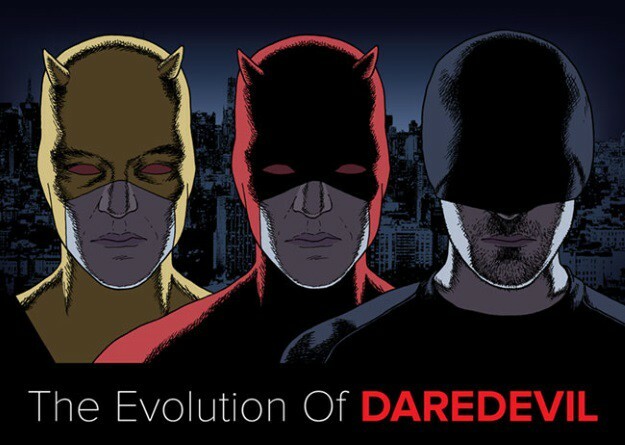 One of our favorite superheroes is Daredevil, and Shirts.com has put together a great infographic of his costumes. Click the link below to see the Man Without Fear go through his different duds. Which is your favorite Daredevil costume?